•See how digital fabric is printed. 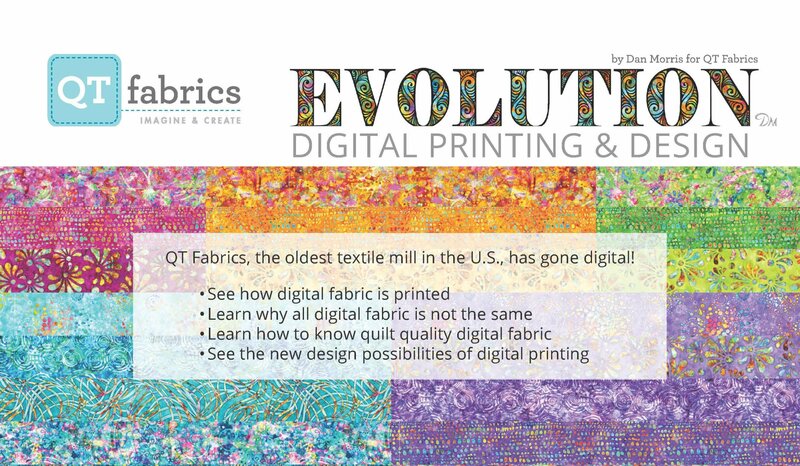 •Learn why all digital fabric is not the same. •Learn how to know quilt quality digital fabric. •See the new design possibilities of digital printing. The fee is $10, but each registered participant will receive a $10 gift certificate for use in the shop PLUS a tote bag with some fabric inside, a pattern, and a QT pen and pad of paper. And there will be a door prize--so sign up now! Did we mention the short bolt sale of Quilting Treasures fabric that will happen immediately after the presentation? And that sale only lasts as long as the rep is at the shop. When he's gone, those bolts are gone!